Established by American veterans of World War I and World War II. The Hunter-Squires-Jackson (H.S.J.) Post 1218, is a non-profit veterans organization that has been serving the Long Island community for over 75 years. The post is in need of your support. 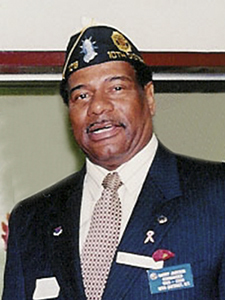 Dedicated in memory of Harry Jackson,Past Commander and Adjutant of Post1218 and Past SuffolkCounty Commander. "helped bridge the divide between Vietnam and World War II veterans at regional American Legion posts"
"an advocate of letting Vietnam-era guys move into positions of authority in the legion"
"He lived and died American Legion"
Because we empower women and inspire communities! Nearly 900,000 women are members of the American Legion Auxiliary, justifiably known as the nation's largest patriotic woman's organization. The Post members hold their American Legion meetings the 1st and 3rd Thursday of the month at 8:00 p.m. The Auxiliary members hold their meetings the 2nd Thursday of the month at 7:00 p.m.
Slide Show List landing page.